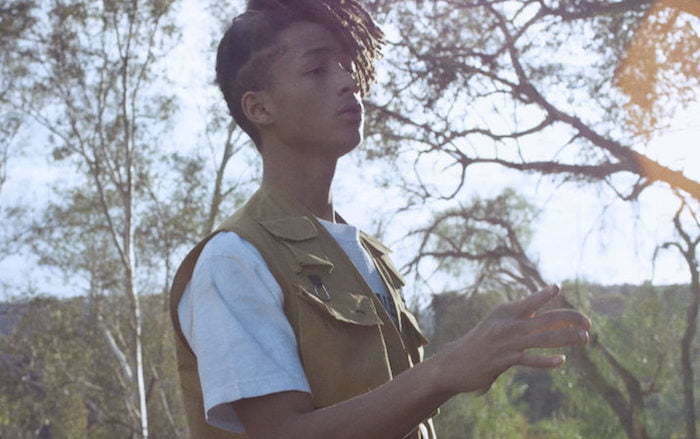 Jaden Smith is all grown up now and has a new music video out “Fallen.” The futuristic clip features the 18-year-old rapper/actor journeying back in time to 1867 Calabasas. His cousin Harry Hudson plays the role of Sheriff Harry back while young Smith rocked Marty McFly’s Nike Air Mags. The cut was directed by Smith and Miles Cable and whats interesting was the it gave some hints of a new project that could be titled Syre.